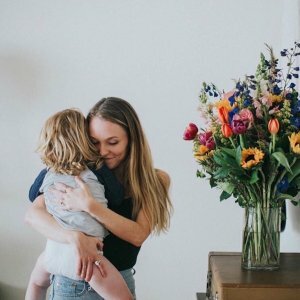 1-800-Flowers.com offers 20% off Mother's Day Exclusive Collection via coupon code "MTHR49". 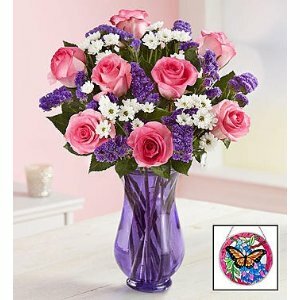 1-800-Flowers.com offers Limited Time Only New Customers Save 22% via coupon code "NEWSHOPPER22". Shipping fee is $14.99 or Free Shipping after purchsing celebrations passport. 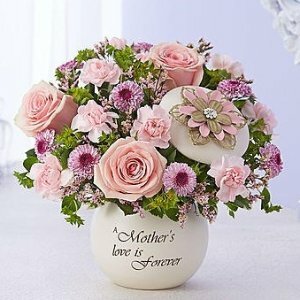 1-800-Flowers.com offers 25% off Mother's Day Exclusive Collection via coupon code "25MDAY". 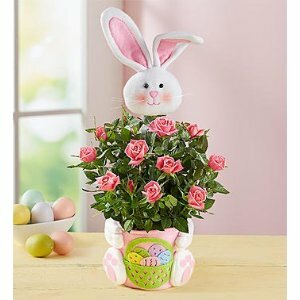 1-800-Flowers.com offers 15% off Easter Plants & Flowers Sale via coupon code "ESTRFFTN ". 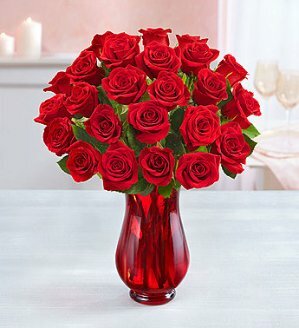 1-800-Flowers.com offers the Red Roses Buy 12, Get 12 Free for $29.99. Features:Radiant. Timeless. Romantic. 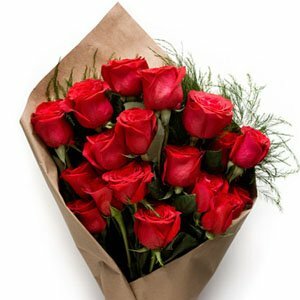 There’s something so special about our red roses, especially the way someone you love will feel when these beautiful blooms arrive at their door. 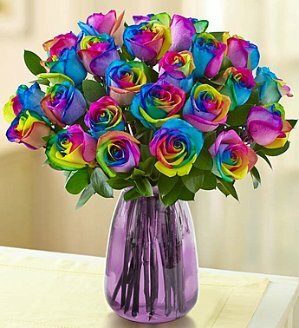 Send a bouquet of two dozen to celebrate an anniversary, or surprise them out of the blue. 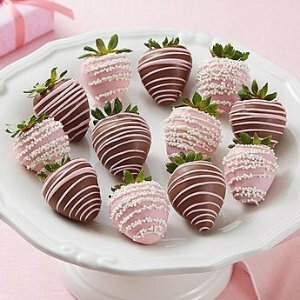 Dial up the wow by adding decadent Harry London® chocolates or a unique & stylish vase, perfect for showing off their gorgeous gift. 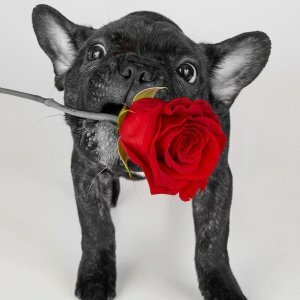 Today only(2/12), 1-800-Flowers.com offers 20% off Valentine's Day Sale via coupon code "VDAYLVE". 或$10 off $49.99 via coupon code "CUPIDTEN". Shipping fee is from $14.99. Deal ends 2/12 23:59 EST. 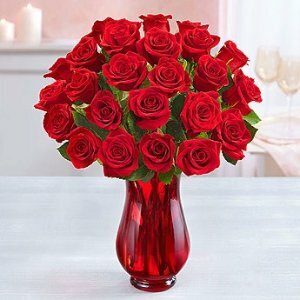 1-800-Flowers.com offers starting at $19.99 Valentine's Day Flowers and Gifts. 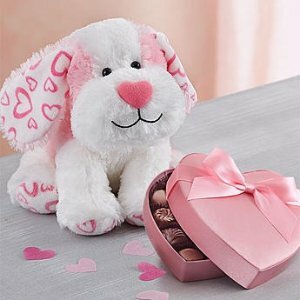 1-800-Flowers.com offers the Send Love Early & Save Up to 40% off flowers & gifts for Valentine's Day from $19.99. 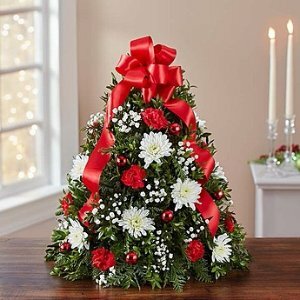 1-800-Flowers.com offers save 20% off Holiday Blowout Sale via coupon code "JOLLYTWNTY". 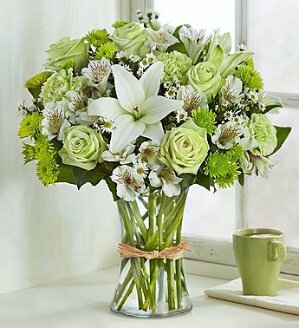 1-800-Flowers.com offers 30% Visa Checkout via coupon code "VC30". 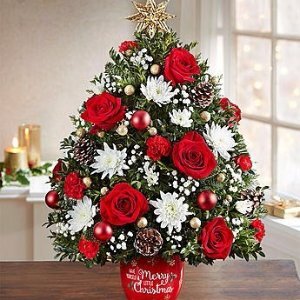 1-800-Flowers.com offers save 20% off Christmas Trees, Wreaths and Evergreens via coupon code "WREATH20". 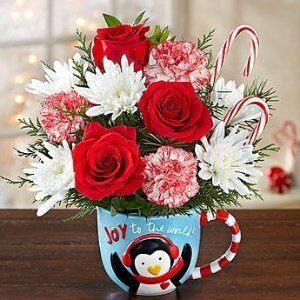 1-800-Flowers.com offers 20% off Holiday Blowout Sale via coupon code "JOLLYTWNTY". 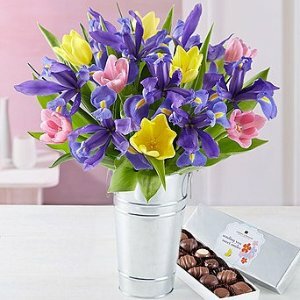 1-800-Flowers.com offers 25% off via coupon code "BFCM25". Shippping fee starts at $14.99. 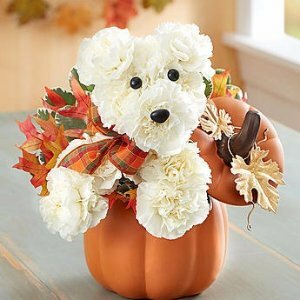 1-800-Flowers.com offers save 25% Thanksgiving Centerpieces via coupon code "SV25CENTER". 1-800-Flowers.com offers free shutterfly book with Qualifying Flowers Purchase Starting at $39.99. 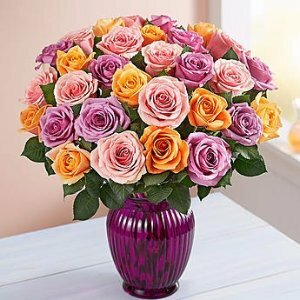 1-800-Flowers.com offers the $10 off $49.99 or more Flowers & Gifts via coupon code "DEALMOON10". 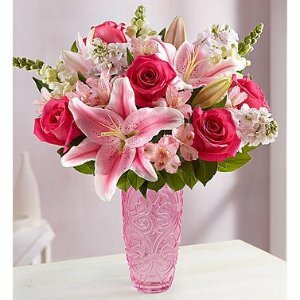 1-800-Flowers.com offers Mother's Day promotion. Pre order for Mother's Day & Save 25% via coupon code "25MDAY" (ends 4/30 7pm EST). 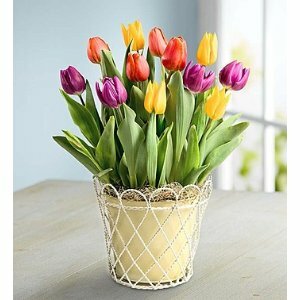 Save 25% off Plants & Share Beautiful Blooms with Mom via coupon code "MDAYPLNT" (ends 5/12 7pm EST). Save Up to 50% & Send Her Heartfelt Wishes (ends 5/12 7pm EST). Celebrate Family Traditions with Blooms Starting at $29.99 (ends 5/12 7pm EST). Give Mom the Best this Mother's Day (ends 5/14 7pm EST). 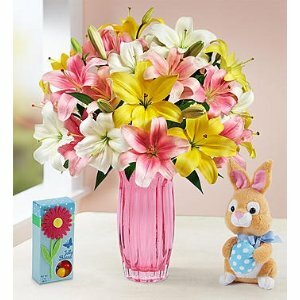 1-800-Flowers.com offers Select Flowers and Gifts starting at $29.99. No code needed. 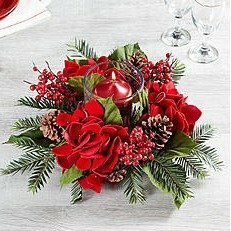 And, save $10 on orders of $59.99 or more via coupon code "FLWR10". Deal ends 4/21 at 7pm EST. 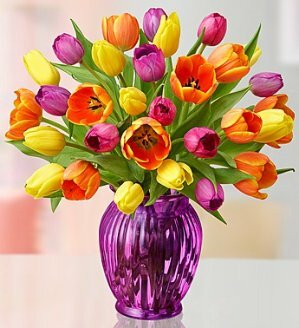 1-800-Flowers.com offers 30 Beautiful Spring Tulips for $30. 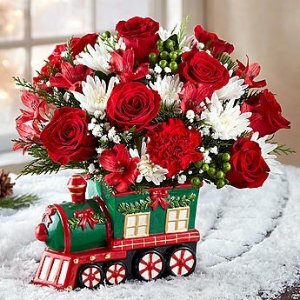 1-800-Flowers.com offers 15% off on Flowers & Gifts via coupon code "GETWELL15".